Carson took his first walk today! Yeah!!! He has taken little steps here and there, but today is his first real venture! So exciting! Here is some video to prove it! We also found out today that my mom is coming to visit us in a week and a half! Yeah! We are so excited! It is a good day! Carrie brought this to my attention yesterday. At www.eyeslipsface.com get make-up and brushes for $1. I personally have never tried the make up before, but for a buck it is worth a try! Plus, use the code: Carolina and get 50% off on orders up to $25. Not to shabby! For those looking to do some early Christmas shopping, Toys R Us are having a buy 2 get 3rd free plus free shipping. 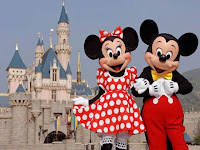 We are heading to the magical world of Disney the end of October. We are so excited!!!! Does anyone have any good tips or places we can't miss in the L.A. area? I am trying to plan it all out and want to make sure we fit in all we can. Let me know your suggestions. 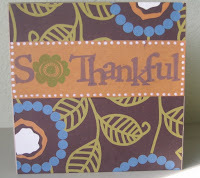 For our Primary Program we had the Sunbeams say one thing they are thankful for. So a while back when I asked Colby what he was thankful for he said, "Jesus and the baby" and I thought, OK, that will work. It is Gospel oriented. So I kept asking him and he would give the same response. So, I thought, Great. That will be his part. Well....we get to the practices and the girl before him said " I am thankful for my pillow", yep, Colby changed his answer to " I am thankful for my pillow, blankie and bear". This is a coined phrase in our house. Those are the 3 things he needs to go to bed. I was so bummed. I tried to get him to say his original answer, but he refused. Needless to say, in the actual program, he said, "I am thankful for my pillow, blankie, and bear." Saturday Morning: Around 5 am Colby threw up all over our bedroom floor. Poor guy! He kept saying in a sad tone, "I spit". I think he was more freaked out than anyone. He has never thrown up before. 9:30 am: we had our Primary Program practice and Pizza Party. Luckily Saturday afternoon I had a little time to rest. But Colby did throw up again that afternoon. Sunday Afternoon: We had our Primary Program during Sacrament and the kids did WONDERFUL!!! I am grateful for the opportunity that I have had to help these children accomplish something so big! It was a success. Then that night Curt and Carrie had us over for dinner. Thank you guys! It was great! All in all, it is nice to have the craziness behind us. I wouldn't have been able to make it through the weekend without my wonderful Nate! He came home from work early Friday to help out and give me the opportunity to rest. And just helped the whole weekend. I love him so much and am grateful for the husband and father he is......a fabulous one! Thank you! Thank you! Colby has learned the alphabet backwards, plus or minus a few letters :))! Carson can do our family clap that we learned from the H* family. He loves it! And kind of says his first words...."uh oh" and "hi". High School was: learning that I wanted to be good and dealing with losing friends because of that choice. My hair: is getting longer than I have had it in a while. Kind of fun! When I was 5: I went to Disneyland for the first time. I should be: better with meal planning and yard work. By this time next year: Carson will be 2 and probably wreaking havoc! My favorite Aunt is: Do I have to choose 1? I love them all so much! My ideal breakfast: waffles with strawberries and whip cream. MMMM! If you visit my hometown: you get to cross the newly built bridge and you will see how truly beautiful it is. If you spend the night at my house: Colby will maul you and we will hook you up with Italian Ice. I shouldn't have been: a red head. I tried it and it didn't work! Last night I: Gave my boys a bath, watched Monk and went to sleep. A better name for me would be: Momma, since that is what Colby calls me. My mind has been consumed with our Primary program coming up!!! I just want it to turn out well and the kids to do well. There is a lot that goes along with putting a program together. I am getting stressed and nervous! I know it will be fine, but I can't help but worry. I want the kids ot feel of the spirit and the congregation as well. I want it to be an uplifting experience for all involved. It is a big responsibility! Especially when I have never been a part of one except when I was in Primary as a child. It will be a great accomplishment for the kids. Wish us luck! 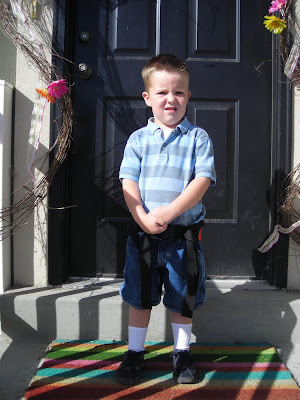 Colby had his first day of Preschool yesterday. He did awesome! And he loved it! He has been so excited for months to go to "school". He will just go 2 days a week, but will be good for him and for me! He is going to have a fun year in preschool! I found this AWESOME deal if you like pearls or even for a gift. 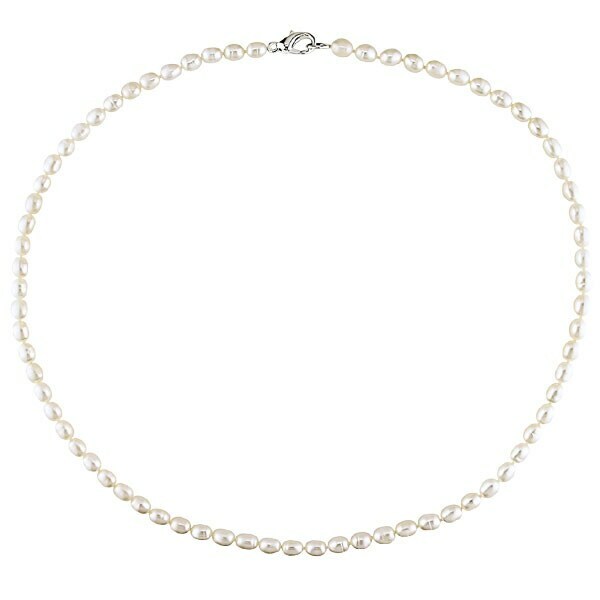 It is a free freshwater pearl necklace. You just pay shipping. It ends up being $3.15. Just thought I would share my find!